No getting away from the facts - it was tough!! "Excellent Quiz!!" was the verdict from Andrew at the Red - and from the Griffin: "The usual very high standard from the Opsimaths. The 'Pick your Topics' format (first seen last year) works really well whilst the Thunderbirds and dead pop stars rounds offered plenty of points." "Loads of points on offer and some well worked themes although there were a couple of telegraphed pairs. We loved the sheer front of introducing a Eurovision Song Contest round via The Aryan Brotherhood (of Man - which we are thinking should be our team name next year)." "All the teams thoroughly enjoyed the wide variety of questions." Heavy doses of politics and the arcane in a standard issue Ethel paper. As ever some loved it and some - well - were not so keen. "We were a bit overwhelmed by the popular music-related stuff." "Three cheers to the CMR on their maiden quiz setting effort. Some of their questions were a little on the erudite side." The chief concern for me was the very low aggregate score (45.8) which was over 10 points lower than the previous lowest this season. This means that many of the questions went unanswered by either team. Indeed at the Albert Club there were 4 instances of one of the teams scoring no points in a whole round. For me this was, by some way, the best paper of the season. The Men on top form yet again. Brilliantly executed themes, plenty of penny drop moments, and an evening's worth of interesting conversation to be had on the back of the subject matter in pretty well every round. "The star of the evening was the quiz itself." 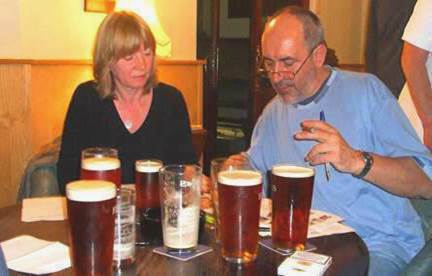 "Decent enough quiz though there were one or two dodgy pairs." There's no 2 ways about it - the majority didn't like it. After providing the highest average aggregate of the season so far in their first paper before Christmas the Opsimaths last night managed to achieve the second lowest of the season. "This week was a rat-a-tat affair with most of us done and dusted by 10pm. Not a lot learned but some good exercise in familiar territory." Very decent paper from the Bards with plenty of twos and only a few unanswered. The feedback received from the teams indicates that this was a pretty good paper. It was well balanced and gave rise to some close contests. "The quiz itself was a winner and Round 2 was a Treat." "Overall impression was that this was fairly difficult quiz with some unevenness in the pairings. Some quite conflicting feedback about this one. James at Stadio del Noce thought it very lop-sided with the balance all in favour of the team that went second. Fantastic!! Round 4 scored a new first for our league - questions on knitting with the actual stitches knitted and provided in the envelope for the match at the Turnpike. Cheryl very kindly converted the photos that the rest of you had into actual knitted swatches for the Meat Raffle game. It was pretty tough as the average aggregate score implies. Amidst the head-scratching, however, there was, what I thought, the best themed round of the season based on the highest buildings in the world in reverse chronological order. An excellent effort according to feedback received so far. Well worked themes, plenty of points on offer and a gorgeous ending. A refreshing change to what's become our staple diet of pairs interspersed with themes - just questions one after the other with no rhyme or reason connecting them. "Hard quiz - 23 unanswerables. It is always good to be reminded that no matter how well informed you think you are there are always gaps in your knowledge that a discerning quiz can penetrate. In this case rappers, cathedrals, early modern European monarchs, Gothic horror juvenilia and much, much more." Quite a tough paper but with plenty of amusement along the way to keep us all engaged. Questionable pairing in some cases (I was the lucky soul who got the Spock question so I shouldn't complain too much) but the feedback and the results (especially the one at the Parrswood) indicate a job well done by Graham and his gang. "A hugely enjoyable 'straight down the middle' paper set by the league's arch conformists." The whole paper could certainly be summed up by the word 'eclectic'. As ever themes rubbed shoulders with pairs, and the downright boring (naming tax rates) with the fascinating (the connection between Origen, Sima Qian, Mohammad Khan and Boston Corbett).